Limp Bizkit frontman Fred Durst tweeted his appreciation over being referenced in a suggested name change for the department of Solid Waste Services in Austin, Texas. Just imagine it - city officials ask the public to come up with a new name for the department of waste management services, creating the chance of a lifetime for you to show off your witty wordplay in a public forum. The people in Texas' capital city, determined to keep Austin weird, seized upon a recent opportunity, when the city's Solid Waste Services set up an online poll soliciting suggestions. It sought a new name that better reflects the variety of services it provides, including - but not limited to - recycling, garbage collection, yard trimmings pick-up, litter abatement, household hazardous waste disposal, storm debris clean-up and community outreach. In poured the clever acronyms (FLOATER = The Dept of Filth, Litter, Outreach, Abatement, Trimmings, Education and Recycling), terse political statements (How much will this cost the taxpayers? ), inside jokes (Leslie's Shopping Cart), self-references (Hippy Scum) and perfectly reasonable suggestions (Solid Waste Services Department). But it was a tribute to the lead singer of rock band Limp Bizkit that captured the most hearts and minds - by more than 25,000 votes. 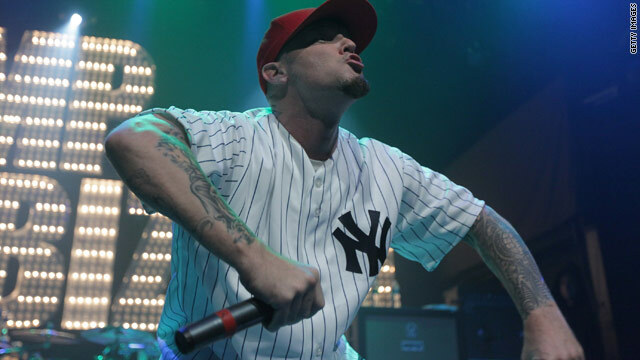 "Fred Durst Society of the Humanities and Arts" was the top pick with 29,796 votes as of Thursday, when voting closed, followed by "Department of Neat and Clean" with 2,069 votes. "Ministry of Filth" was the third and final suggestion to come in with more than 1,000 votes, ahead of "Hufflepuff," which drew 529 yeas. The tattooed, baseball cap-wearing rocker also seized upon the nod, tweeting his appreciation: "I want to thank all of you who are helping me in Austin. I hope we win." The city is not obligated to choose any of the suggested names, a city spokeswoman told the Austin-American Statesman newspaper. The new name will be announced on Earth Day, April 22. I chuckle at all the "young, under 30" commenters who knock Fred Durst and Limp Bizkit talking about their "irrelevance". Newsflash: They sold millions of albums, and their was a time certain radio stations played them religiously throughout the day. Read it again: Millions of albums. How many hits does your boring, non-sensical, look-at-me Facebook and Twitter updates get? Go ahead...I'll wait. To the "under-30" hipsters posting, how many of your songs ended up in movies like Mission Impossible 2? How many concert venues did your "Tweets" sell-out? Go ahead, I'm still waiting. Don't talk to anybody about irrelevance, because the only thing that the under-30 crowd has brought us is an immense volume of posts on Facebook/Twitter/FourSquare. You have done...nothing. Accomplished...Nothing. Relevant inventions...Nothing. Thank you, that will be all, Good Night. you forget that an under-30 year old created the facebook that you apparently hate so much and has billions and billions more dollars than you'll ever amass; not to mention a time magazine person of the year distinction which i don't anticipate you'll be receiving anytime soon, so let's not start hypocritically jumping down people's throats over what they've accomplished in life. don't be jealous – it's not our generation's fault you're old and bitter. I sincerely hope that Durst isn't stupid enough to consider this a compliment. Living here this is nothing new for Austin. Where else do you have an ex flower seller ( Max Nofziger) sp. get on city council. How about the two homeless cross dressers Leslie and Jenifer Gale (rip) run for mayor? Living here for thirty years...I remeber the days of "boots, buckle, Stetsons", to the yupppie influx and now the "how fast can we look hip" days. The newest one, get rid of local bussiness, open trendy shops and change South Congress Ave. to SOCO......still lmao at that one.....otherwise it still is a great city. Live music capital of the world...oh yeah...Peace out. I'm not old and bitter, and I'm 34 years old. Sure, I'm glad Zuckerberg made millions on Facebook, good for him. But you act like your entire generation did something. That's 1 guy. 2 more for Twitter. I don't hate Facebook or Twitter either. I do shake my head though in pity at some of the posts your generation puts on there, thinking that you are newscasters and that people actually care what you had for breakfast. I also laugh at how your 140 character "my opinion really matters" generation bashes everything and anything on your updates, and talks about relevance. In 30 years, Limp Bizkit will still have sold out shows, even if they don't do anything now. It's called legacy. Where will your silly little updates be in 6 months even? Irrelevant. Relevance is not something measured by "Who got mentioned in the news today?" Relevance is measured by your contribution to society, and who is influenced by you long after you are gone.